with Parag Kaole on Violin and Radheyshyam Gupta on Sitar. 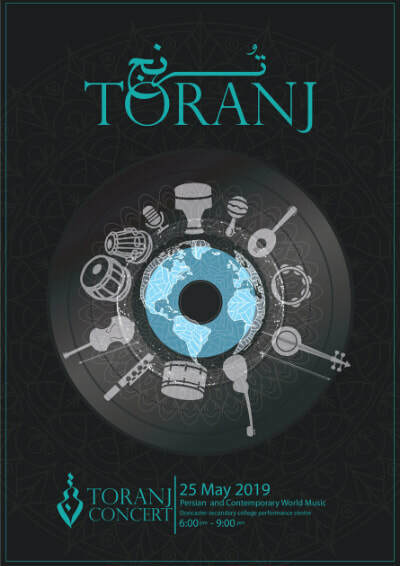 Toranj presents some of Melbourne’s finest Persian musicians in a night of music that traverses the exquisite music of Persia and contemporary world music. The concert traces the sonic journey of the musicians from Persia, through India to Australia, featuring Reza Kashi (tar and oud), Parham Kebria (tombak), Farzane Pezeshki (Singer - Persian Avaz), Hamidreza Khishavand (santoor), Sam Evans (tabla and percussion) and Helen Mountfort ('cello). The Toranj concert opens with the equistite music of Persia. 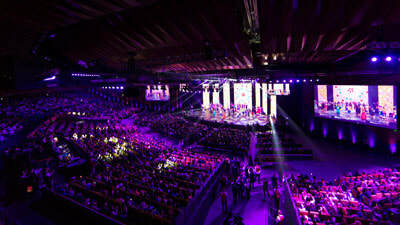 Key figures and motives in the music depict a modern perspective of traditional Persian music. Telling stories from thousands of years of Persian history, the music is about the people’s happiness, grief and joy. In the second half of the concert, tabla player Sam Evans and cellist Helen Mountfort introduce Indian, Western and World Music themes to the music that reflects today’s changing world. This music explores and celebrates the differences and similarities between the musical traditions of Persia, India and the West. 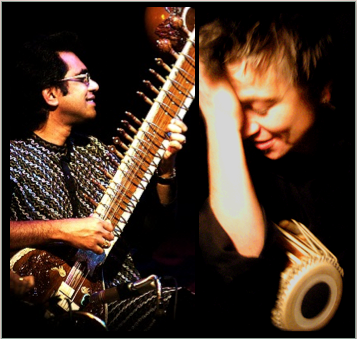 Sam Evans will be performing with renowned sitarist from USA, Josh Feinberg. Join us for a night of classical instrumental music. Bringing tabla, sitar and vocal students together - Sam Evans and Sarita McHarg will present a series of workshops for sitar, vocal and tabla students that will focus on playing together and getting to know other students of Indian music in Melbourne. ​Places are limited, contact us to book a place. Sam Evans and students of the Melbourne Tabla School will perform at this year’s Diwali celebrations on the main stage at Federation Square. In previous years the crowd has been in excess of 20,000 people. Come and enjoy a great event put on by Celebrate India. ​Celebrate 10 years of the Melbourne Tabla School with us in the beautiful Oratory at the Abbotsford Convent. 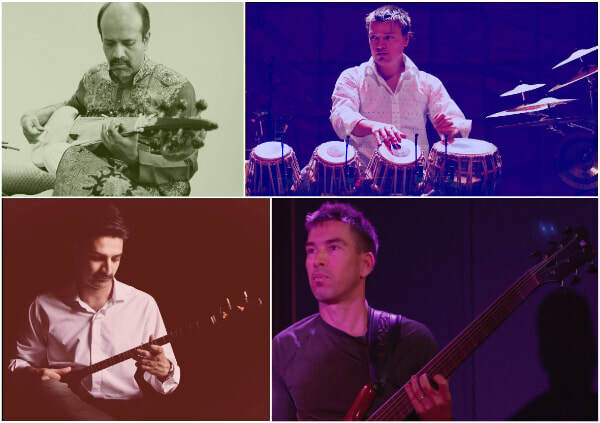 With group performances by Melbourne Tabla School students and Sam Evans that present traditional repertoire that is at times fast and exciting, other times slow and moody and often groovy and funky. Accompanied by sitar, subahar and bansuri, this concert celebrates a decade of Melbourne Tabla School concerts in Melbourne. Join us for a Sunday afternoon of tabla. The Oratory - Abbotsford Convent, 1 St Heliers Street, Abbotsford. Enjoy the luxurious sounds of sitar and tabla while relaxing in the beautiful Hot Springs at the Peninsula Hot Springs. Traditional tabla and sitar recital performance for the opening of a beautiful Indian art exhibition. 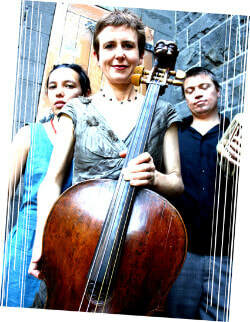 contemporary world music trio - Fine Blue Thread at New Hall in Point Lonsdale. Mangala Yoga Studios, 73 Grattan Street, Carlton. Sam Evans will perform with sitar player Dr Sarita McHarg in a tabla and sitar recital for Monash University at the Caulfield campus for the Celebrate India festival. Sam Evans will be performing with famous indigenous opera singer Deborah Chetham as part of a welcome to country at Federation Square. Sam Evans will play kanjira with Matt Stonehouse the Frame Drum Ensemble at the opening of Matt’s new frame drum exhibition. 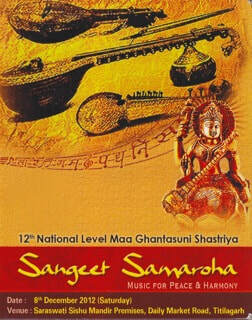 Sam Evans will be performing and teaching with master sitar player Sugato Nag in Melbourne in May. Performances and workshops will be held at Monash Univeristy, Melbourne Polytechnic and Melbourne Tabla School. Tuesday 16th May - Melbourne Polytechnic Concert and Workshop Series. Join us for an in-depth exploration of the art of tabla accompaniment with Sugato Nag and Melbourne Tabla School teacher Sam Evans. 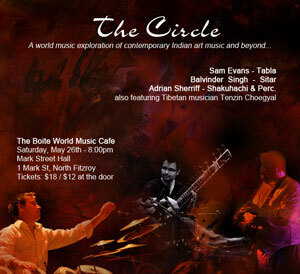 ​Join us for a celebration of tabla in Melbourne. The concert will features a performance by students of the Melbourne Tabla School, featuring up to 30 of Melbourne’s finest up and coming tabla players. Tabla students will be performing intricate traditional compositions in small groups in unison with Indian slide guitar accompaniment. With solo sections, spoken rhythms and complex cycles the music is a celebration of the rising talent in tabla playing in Melbourne. 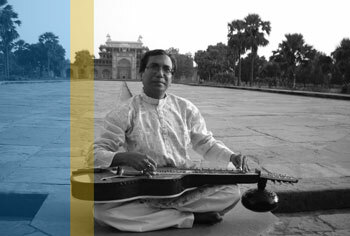 Sam Evans will be performing with sarod player Sabysachi Battacharia at a private party. Sam Evans will be perform kirtan with American Singer Anandra George. One night only. Thursday 13th October, 2016, 1pm. Sam Evans will be performing the Monash World Music Orchestra. This semesters repertoire includes music from India, Tunisia, and Bulgaria. Sam will be performing with the well-known American guitarist Ben Monder at Bennetts Lane Jazz Club. The concert will feature the Monash World Music Orchestra that Sam has run for the past decade at Monash. Join us at the Australian Tapestry Workshop for the Sound and Colour Series. Listen to music by artists from Multicultural Art Victoria & students from Australian National Academy of Music amongst the colourful ATW tapestries. ​Sam Evans will be performing Indian Classical music and Beatles tunes with a 25-piece band with some of Australia's finest musicians. Two albums Back2Back - St Peppers and Abbey Road. Sam Evans will be performing Indian Classical music and Beatles tunes with a 25-piece band with some of Australia's finest musicians. Two albums Back2Back...St Peppers and Abbey Road. Tickets $90 - $151 TICKETMASTER. ​Sam Evans will be performing Indian Classical music and Beatles tunes with a 25-piece band with some of Australia's finest musicians. Two albums Back2Back...St Peppers and Abbey Road. Fine Blue Thread will be performing music from their new album BLUEPRINT at the Walker Street Gallery and Arts Centre in Dandenong. This intimate venue is a beautiful space for the music of Fine Blue Thread. Sam Evans will perform three concerts of Indian Classical Music at the Illawarra Folk Festival with international artist Pandit Debasis Chakroborty - Indian Slide Guitar. Filming of the ClickView Documentary - The Music Of India. Indian classical virtuoso slide guitarist Debasis Chakroborty is joined by three of Melbourne’s finest jazz musicians for a stunning cross-cultural collaboration exploring the intersections of Western style improvisation and Indian classical music, highlighting the lyrical beauty and depth of their connection. The concert will features a performance by students of the Melbourne Tabla School, featuring up to 30 of Melbourne’s finest up and coming tabla players. Tabla students ranging from beginners to advanced will be performing intricate traditional compositions in small groups in unison with Indian style guitar accompaniment. With solo sections, spoken rhythms and complex cycles the music is a celebration of the rising interest and talent in tabla playing in Melbourne. Fine Blue Thread will be performing music from their new album BLUEPRINT with special guest Shakuhachi player Anne Norman. This is a rare opportunity to see Fine Blue Thread performing in the visually and aurally stunning space of the Salon at the Melbourne Recital Centre. Sam Evans will be joining Pin Rada in an improvised set of creative music that will move from India to the Middle East and back again. On show only. Fresh out of the studio after recording the new album Fine Blue Thread will be performing at the True North Festival on the main stage. 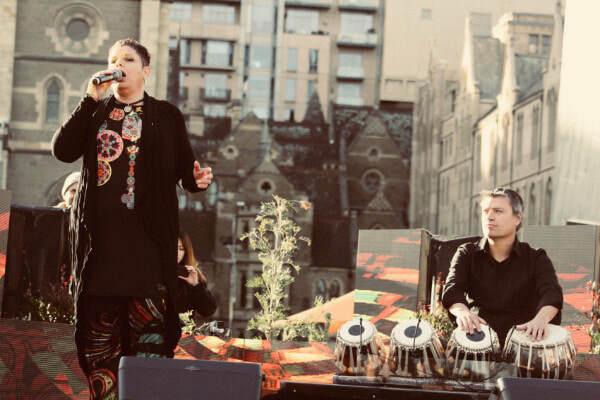 ​Representatives of the Melbourne Tabla School will be performing for Diwali on the main stage at Federation Square. 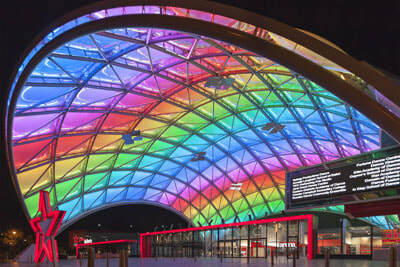 Diwali - The Indian Festival of Light - is one of the largest celebrations held at Federation Square throughout the year. Performing one show only at the Darebin Music Feast in the beautiful Northcote Town Hall. Sam Evans will be performing with a bollywood group he has put together for a special event on Dancing With The Stars. To be broadcast LIVE around Australia! Don't miss it! 7:30pm. Free to air on your TV! ​Join us for an intimate night of improvised music presented by the Melbourne Improvisors Collective. Thomas Lorenzo, international latin flamenco guitarist from Barcelona Spain, Sam Evans on Tabla and Percussion, Jordan Murray on Trombone and Ben Robertson on double bass. Pre-booked tickets $25. Tickets at door $30. 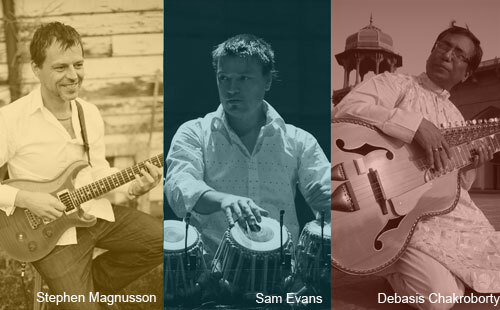 This concert with feature Sam Evans performing with two incredible guitarists - Stephen Magnusson - One of Australia's most renowned guitarists and Pandit Debasis Charoborty - One of India's finest classical guitarists. Do not miss this once only performance. 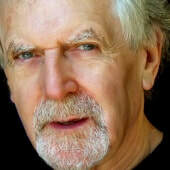 Sam Evans will be performing concerts in North India over December and January 2012/13. Performing solo tabla lehara as well as instrumental accompaniment with Pandit Debasis Chakroborty. Tour details below. Sam Evans will be performing with Malaysian Sitar Master Samuel J Das at the Boite. One show only, not to be missed. International Sitar Maestro Samuel J Dass is a multi-award winning performer that has reached the pinnacle of the classical and contemporary Indian music arena. 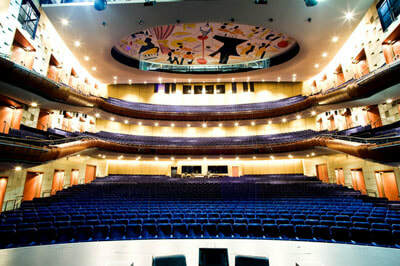 He is a winner of 7 categories at the performing arts championships in 2010. 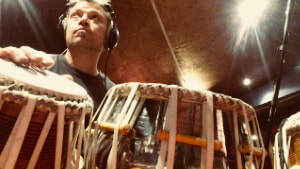 He will be accompanied by Tabla Player and founder of the Melbourne Tabla School Sam Evans. The Boite World Music Cafe - 1 Mark Street North Fitzroy. Fine Blue Thread perform at the Australian Festival of South Asian Arts. The Festival also features: Hariprasad Chaurasia, Susheela Raman and may more great artists. St John Catherdral - Paramatta, Sydney, N.S.W. Join us for a special and very intimate concert at Quartthouse. 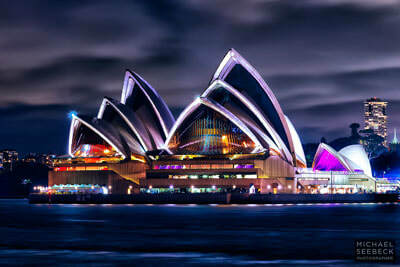 Designed by the Australian National Academy of Music and Bluebottle, the Quartetthaus is an intimate venue with a stage that slowly rotates, giving audiences the chance to experience the music and the ensemble from every angle. ANAM Quartetthaus, Corner of City Road & Sturt Street, Southbank. ​Join us for the Melbourne Tabla School 2012 Concert held in the exquisite Fitzroy Town Hall (pictured above) The concert will features a performance by students of the Melbourne Tabla School, featuring up to 40 of Melbourne’s finest up and coming tabla players. 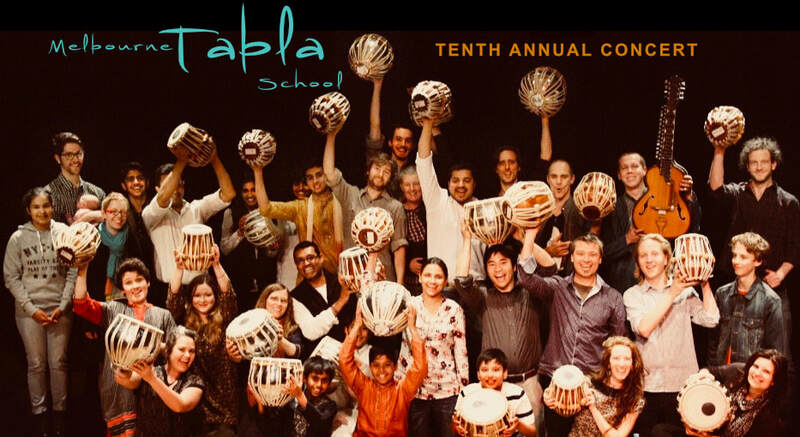 Tabla students ranging from beginners to advanced will be performing intricate traditional compositions in small groups in unison with sitar accompaniment. With solo sections, spoken rhythms and complex cycles the music is a celebration of the rising interest in tabla playing in Melbourne. The Fitzroy Town Hall. 201 Napier Street, Fitzroy 3065. The music of Fine Blue Thread has been featured alongside the likes of Ravi Shankar, Nitin Sawheny and Nusrat Fateh Ali Khan by the BBC. Featuring Oud player Adnaan Baraki. Book early! Sam Evans will be performing a creative night of music at the Boite with newly arrived sitar player Balvinder Singh and well known multi-instrumentalist Adrian Sherriff on Shakuhachi, Kanjira, Berimbou..... Performing in duets and trios this will be a night of interesting and surprising new music. St Kilda Festival: Fine Blue Thread will play a 1 hour set from 12:45 - 1:45 at the Vedic Village.